YOU decide who gets the gold! When it comes to asking the experts, we know just where to go: YOU. 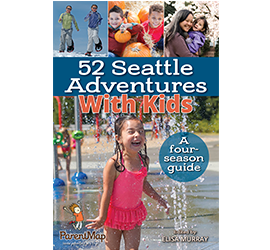 Parents know the very best places to play, learn, shop and dine around the Sound. That's why each year we ask you, our readers, to share your family faves. Nominate your favorite Seattle-area spots, VOTE on finalists and be entered to win awesome prizes. Round one voting is now closed! Come back between April 24-30 to see the finalists and cast your final vote. Your go-to local spots are too good to keep to yourself! Cast your ballots for your favorite businesses during two rounds of voting. Round 1, April 3–14, 2019: Nominate your favorite businesses. Round 2, April 24–30, 2019: Vote from the top five finalists in each category. Just for voting, you'll be entered to win over $1,000 in fabulous prizes, including a family escape to Sleeping Lady Mountain Resort, theater tickets, zoo tickets, museum passes and more! See full prize details below. Winners will be announced online June 28 and in the July issue of ParentMap magazine. As your reward for voting, you'll be eligible to enter the Golden Teddy prize pool, featuring over $1,000 in prizes provided by our local partners. Voters will receive one entry for each ballot they complete. Readers are eligible to vote twice in each category throughout the duration of the voting period, once during the nomination phase and once during the final voting phase. Winners will be contacted via email in early May.